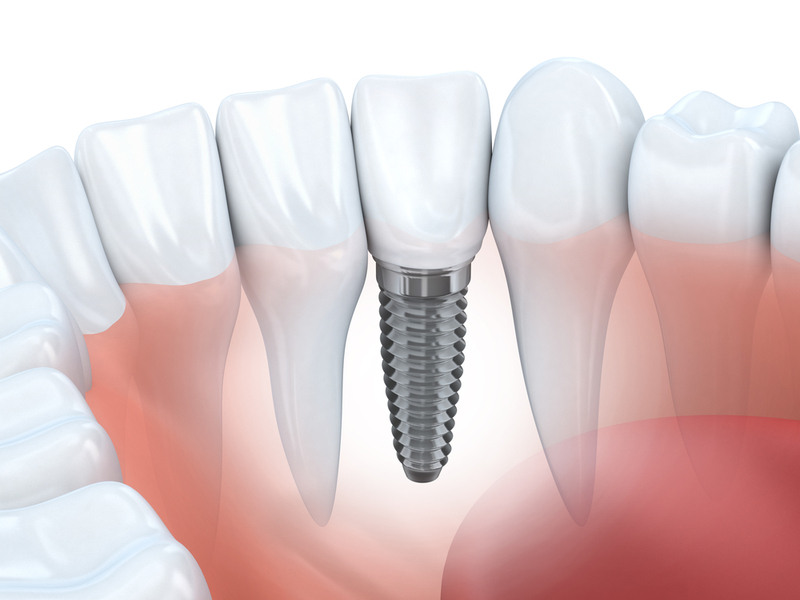 Dental implants are a great alternative to bridges and dentures. Dr. Steinbach uses state-of-the-art approaches for implant placement and restoration to help Brooklyn, NY, area patients maintain their great-looking smiles without the hassle of dentures or bridges. "He is very gentle, does great work and is honest with the work needed done." "Going to the dentist doesn't get better than this! Dr. S and his staff are excellent!" "Cleanings are extremely quick and painless! Hands down, the best dentist I've seen!" "I trust him and will definitely continue seeing him; highly recommend!" "Dr. Steinbach is friendly and is clearly passionate about dentistry." "Excellent service and top quality work. Highly recommended." "Dr. Steinbach and his staff were very calming"
Dental implants are artificial teeth that are used to replace teeth that have been lost. Because they are implanted into your jaw, they look, feel and function just like your natural teeth. Several visits are required for dental implant procedures. In the first visit, the titanium post will be implanted into the jaw to serve as the new artificial “root” for the crown that will be placed on top. During the next few weeks, the bone will fuse with the post, helping to stabilize and strengthen it. Once the post has become fused with the bone (a process called osseointegration), at the next visit a metal device called an abutment will be attached to the post and an impression will be made to serve as a model for the artificial tooth or crown. Once the crown is made, it will be attached to the abutment at the next visit and then gently shaped for the most comfortable fit and most natural-looking results. No, one of the best things about implants is they can be cared for just like your natural teeth, with regular brushing, flossing, and dental checkups to make sure the surrounding gum is healthy. No special cleansers, soaking solutions or messy adhesives are required, and there's no risk of slippage or sore spots that can occur with dentures. I lost a tooth years ago; can I have an implant now? When a tooth is lost, eventually the bone used to support the tooth will begin to disintegrate or become very thin. If that happens, a bone graft may be needed to build up the jaw first before an implant can be used. Dr. Steinbach will be able to determine if your jaw can support an implant on its own. Here is a short-list of just some of the plans we accept. Please contact our office if you do not see your insurance provider listed. "As someone with dental chair anxiety, I appreciate him not leaving me in the dark. He explains ALL treatment options w/o favoring the one that'll make the most money." "My procedure was completely pain free from beginning to end. Thank you Dr. Steinbach and staff for a great dental experience! Go see this guy, you won't regret it!" "Dr Steinbach and his staff are fantastic!" "Dr. Steinbach immediately put me at ease. He's very sweet and gentle and has an extremely calm demeanor that goes a long way in settling the nerves." "Dr. S was very helpful and knew what he was doing. I went on the recommendation of a good friend. I felt comfortable and well taken care of. " "Dr. Steinbach and his staff were all very friendly and really took the time to explain things. Wait time was roughly zero minutes."